Humans do many stupid things. As affiliate marketers, we can exploit these dumb behaviors and convert them to cash in our pockets. In this post, I’m going to talk about people’s powerful desire to save a quick buck and how affiliates can utilize this to improve their campaigns. People will cringe at the thought of giving away money for nothing. How about giving away time? They don’t even bat an eye. Those same people that would never give away money will waste hours finding discounts and cheaper prices that end up saving them next to nothing. I had a $200 gift card to my local sporting retailer Sport Chalet. Upon finding out that they were going out of business, I went to the store, mistakenly on a Sunday, to use the gift card to prevent it from becoming defunct. I was absolutely speechless when I walked inside. There was a line of at least 200 people, winding around to the back of the store. I initially figured that there must have been a massive discount to warrant a crowd like that. 10%. 10% was the store-wide discount that HUNDREDS of people flocked to the store for. That’s $3 on a $30 purchase. $10 on $100. I sat out the line because I didn’t want to waste my gift card. While waiting in line I went from being shocked to just confused. The guy in front of me was telling his son that they “scored” by saving almost $3 on a $25 basketball, especially because it was “$27 at Sports Authority down the street”. The line would last almost an hour. This guy was stoked over saving THREE DOLLARS in exchange for waiting SIXTY MINUTES. He later was talking to someone about he was a hot-shot liquidator and knew all about what was going to happen next to Sport Chalet etc, yet he values his time at $3/hour. However, this inefficient, yet all too powerful human instinct to “save money” can be used to marketer’s advantages when designing offers. What brought so many people to Sport Chalet that day was a combination of two things: urgency and a discount. As affiliate marketers, replicating these two traits in our ads can massively improve conversions. 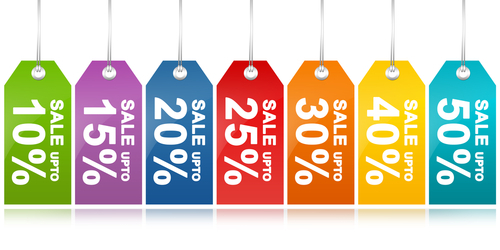 Have you ever bought something online or in a store solely because it was on sale? In other words, you wouldn’t have even considered buying it if it was full-price, right? Maybe because you saw that they item was only on sale for another week and you didn’t want to “miss out” on the discount? Of course you have, everyone has. Use this tactic in your ads, and be specific. “Limited Time Only” is a tired old line that rarely works. How much time is “limited”? “Only 24 hours left for a 10% discount” is much better. This ad is a great example. 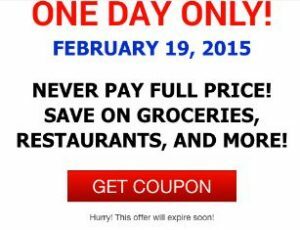 Specific time frame, and “full price” insinuates that the user is going to get a discount that not everyone else can. When someone sees something like this and they’re interested in your product or service, they can almost “panic-buy” it, rushing to get it ASAP in fear of missing the discount. This concept of discounting doesn’t solely apply to money either. Adding additional features or services for no additional cost has a similar effect to simply reducing the price. Same applies to urgency. Instead of saying that there is only X time left, say that there are only X items left in stock, or X memberships left to be sold. Humans are cheap and always looking for discounts, especially those that are “special” and not available to everyone. What other human tendencies can you implement into your campaigns? Marketers who utilize psychology and knowledge of human behavior are the most effective and make the most money.